Infinite Solutions has the knowledge and expertise to help organizations in all steps of implementing Share Point Portal, from preliminary investigation and business analysis, identification of record-keeping requirements, assessment of existing systems, installation, implementation, auditing and imaging. We also help organizations to assemble a sustainable self-supporting group to keep the system live, active and relevant. Our certified team uses SharePoint’s multi-purpose design that allows managing and provisioning of different solutions such as intranet portals, extranets, document and records management, business intelligence, workflow automation, process integration, system integration and more. SharePoint is designed as a broad, central application platform for common enterprise web requirements. SharePoint’s multi-purpose design allows for managing and provisioning of intranet portals,extranets, websites, document & file management, collaboration spaces, social tools, enterprise search, business intelligence, process integration, system integration, workflow automation, and core infrastructure for third-party solutions. 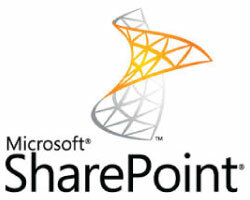 SharePoint’s core infrastructure is also suited to providing a base technology platform for custom developed applications. Create custom solutions that will meet your needs. Your SharePoint based collaboration platform can dynamically change as quickly as your business changes and grow adapting to your needs.